Choose from a constant stream of top React.js jobs while staying flexible as a freelancer. At Toptal, you get to work on complex React.js projects with top clients who understand the value of elite engineering talent. As a Toptaler, you can design your own schedule, get real-time help from a global community of experts, and enjoy top professional development opportunities. Hiring React.js developers? Learn more about Toptal. Top clients, ranging from industry-leaders to rapidly growing start-ups, use Toptal to hire elite React.js developers for their mission-critical jobs. We are an early stage insurance technology company and our mission is to provide simple, affordable financial security. Our first product will be a life insurance policy that rewards you for physical activity. We're looking for a talented React.js engineer to develop the initial version of our web app, hosted in AWS. You'll be working alongside the founders to build the app from completed design assets in Sketch and Flinto, and must have extensive prior experience building an app from design assets. We have a rock solid team of 10 that includes YC alums, data science PhDs, former hedge fund engineers, a top-notch product & design team, and outstanding operations & support people. We're building out a new version of our web application and need a top React.js developer to own the front-end. All hi-fi mocks are ready to go. You will work closely with our product designer, CTO, and CEO. This position will be full-time for a minimum of 2 months, but if things go well we’d love to work with you long-term as well. You will be responsible for leading front-end development on our team, including building new features, porting old pages to React.js, handling maintenance, and helping our team expand their React.js skills. At Toptal, you’ll always have plenty of opportunities available to grow personally and professionally. From working with cutting-edge technologies to getting real-time feedback from a global community of top engineers, there are always options for creating value for yourself here. Toptal members and guests are welcome to cowork — or just stop in to say hello — Monday, April 22 between 9:30am and 4:30pm. It’s an ideal opportunity to strengthen connections with local professionals. 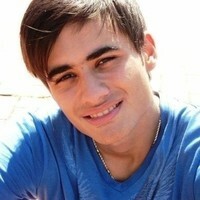 Your host is Solon Molho, a Toptal finance expert and Community Leader for Athens. Global Coworking Week is April 22-28. Cities around the world will be participating: see all upcoming events here. Want to host one in another city? Contact community@toptal.com to find out more. Global Coworking Week is April 22-28. Cities around the world will be participating: see all upcoming events here and follow #Toptalcoworking on social media. Want to host one in another city? Contact community@toptal.com to find out more. Publish technical papers alongside React.js developers on the Toptal Engineering Blog. The Toptal Engineering Blog features hundreds of thousands of subscribers, daily in-depth technical studies, and frequent syndication requests from leading publications across the tech industry. By joining, you’ll be able to publish on the Toptal Engineering Blog and show your top work off to a global audience of React.js developers. Why do top React.js experts join Toptal? Rogério is a full stack developer with 15 years of experience with software development and architecture. He has worked on several projects for clients in Brazil and globally. His projects have included mobile, web, and desktop apps, as well as enterprise search applications. Toptal has created an amazing community of React.js developers, and all of us are extremely passionate about helping each other solve any problem. For me, the best part so far has been that, after learning React.js and starting to engage on the technology with other community members, I quickly got two React.js jobs in less than one month, and both were great experiences. Francisco is a young, energetic iOS and React.js developer who is an exceptional problem solver. He lives and breathes to build new, innovative products. He brings leadership experience and professionalism to any team, and loves working with talented designers and collaborating on new projects. 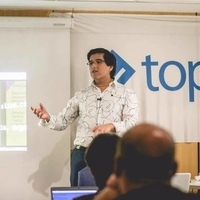 Outside of work, he enjoys organizing regularly Toptal events with the Toptal community in Buenos Aires. What I love most about Toptal, besides being surrounded by amazing software engineers and designers and working with the latest technologies, is the freedom. I can do my job from anywhere, on whichever schedule suits me best. The freedom is PRICELESS. Nothing stops me from grabbing my backpack and traveling around the world while working with the best companies. For me, this is way more than a job. It's a lifestyle. And it's awesome. Alejandro has worked for over a decade with leading software companies of all sizes from around the globe. Currently, he enjoys working as a technical lead on React.js projects at Toptal, where his deep understanding of architecture and theory is most impactful. In his free time, he organizes Toptal community events and is the Toptal Academy React.js Course Professor, which over 200 community members have taken. Part of engaging with any new technology is the uncertainty of finding a job that requires you to use what you've learned. Thanks to Toptal, I've had a steady stream of React.js projects with clients from the very beginning. My Toptal clients are always pushing the limits of the technology to give their users the best user experience in their markets.